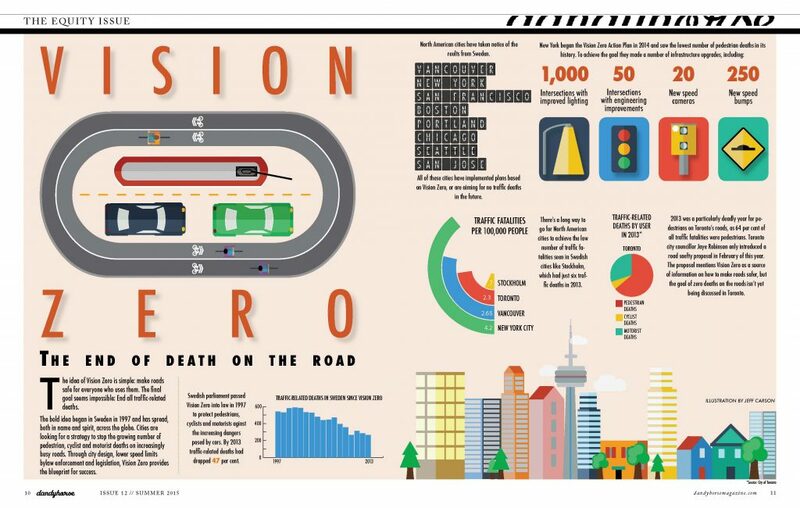 The Summit, which is happening today, at Daniels Spectrum in Toronto will examine the implementation of Vision Zero in Canada, drawing on international examples of Vision Zero and the application to Canada. Examples will include Sweden, Edmonton and New York City's implementation of Vision Zero road safety initiatives. Speakers will be drawn from Canadian and international road safety leaders and researchers, including Dr. Matts-Åke Belin of the Swedish Transport Administration and Gerry Shimko of Edmonton's Office of Traffic Safety. Parachute is a charity that aims to lower, and ultimately eliminate, preventable injuries in Canada. This is not necessarily restricted to cycling related incidents. Parachute's hope is to achieve prevention through; education, public policy and social awareness. Their website is an invaluable resource of how to be a conscientious citizen. With cycling specific "Bike Safety" PSAs in multiple languages. Alongside summaries of policies and legislation and how they impact people of all ages. From drowning to driving to concussions and cycling Parachute is hoping to make Canadians safer through education. With efforts like Vision Zero Summit they want to widen the conversation. Head to their website to see their other campaigns and resources.